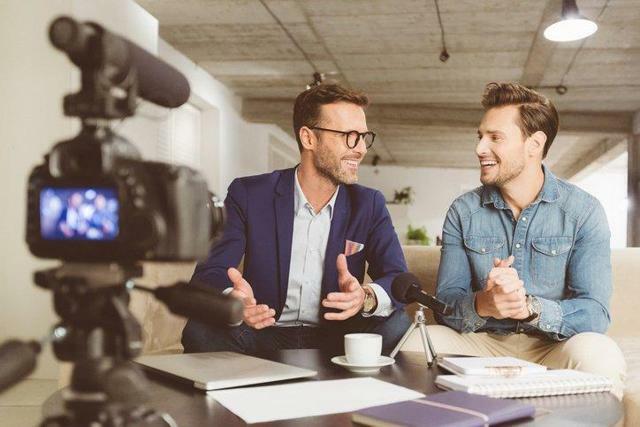 As a new generation begins their financial planning, videos are becoming crucial to a modern financial advisor's marketing plan. Studies show that people engage better with video than they do with text – the average viewer remembers 95% of a message when it’s watched. The beauty of filming videos is that you can choose topics you have already covered in a blog, since you’re most likely reaching a different audience. As technology continues to evolve, there’s one financial advisor marketing trend you can no longer ignore: Videos. Videos are everywhere – there are how-to videos, animated presentations and question-and-answer sessions between experts that investors can watch from the comfort of their own homes. And as a new generation begins their financial planning, videos are becoming crucial to a modern financial advisor's marketing plan. Despite what some may think, smartphones and computers have made it easy for financial advisors to get in on the action. In the past, making a video of any kind was a major production. It involved expensive equipment and knowing how to edit and prepare a video. Then there was the cost of getting it in front of an audience. The only choice used to be expensive television commercials or infomercials. But today, creating videos on your own is much easier. There are even several online services that have pre-made videos that you can edit to customize to your needs (e.g., Slide.ly; Animoto.com). There are also many programs that allow you to create GIFs and video clips that you can add directly to your financial advisor website. Studies show that people engage better with video than they do with text – the average viewer remembers 95% of a message when it’s watched, as opposed to only 10% of a message when it’s read. While videos won’t be a cure-all for reaching all of your intended audience, some of your potential leads are more likely to watch a video than read a blog post, giving you multiple options for getting out the same content in a variety of channels. Posting videos is often times a last step for financial advisors, as the idea of being filmed on camera gets many anxious. But what some don’t realize is you don’t have to appear on screen to shoot a video. If you can’t find a willing candidate who enjoys being on screen, there are ways around it. The beauty of filming videos is that you can choose topics you have already covered in a blog, since you’re most likely reaching a different audience. You can use the blog content as a starting point, and you can possibly use the same graphics or charts. Keep in mind that videos should cover a specific topic, so rather than tackling the broad concept of, say, retirement, you should break it down into a series, such as Medicare, diversifying funds, then market trends, etc. Internet videos are meant to be short snippets of easily digestible information. When videos are long and drawn out, they have less chance of being watched to the end, which is usually where the best information and Calls to Action (CTAs) are placed. The key is to find the right balance between too short and giving away so much information on a topic that the viewer doesn’t feel the need to reach out for more. When posting a video online, consider placing a lead form or “gate” in front of the video that requires the viewer to enter contact information before gaining access to view it. With this information, you know who watched your video and can follow up with those leads. Keep in mind, however, that some viewers may be hesitant to give contact information online just to watch a video, so you may lose some potential views, but you may find that the qualified leads you do get are worth it. Regardless, it’s definitely something to consider. Your extensive knowledge on a subject may make you think you don’t need a prepared script. However, having something to read from can help eliminate audible pauses and losing your train of thought, which will make the video flow better overall. Also, preparing a script in a compliance-friendly manner means that you won’t have to worry about the video including non-approved language or content, rendering your video unusable and wasting your time and efforts. The right location could be in your office or somewhere more unique. The important thing to consider is the lighting, background noise and how the video will look across multiple devices. For example, if your office is in a shared workspace, the background noise that you may not notice day-to-day will be very noticeable when picked up within the audio of a video. To be sure your location is conducive to making a video, it’s a good idea to do a test run, similar to what they do for a Hollywood movie, to make sure the audio and video will work. This doesn’t require you to go through your entire script twice, but you may want to read the first few paragraphs in a test run to see how you sound, what it looks like and how it is received before spending too much time on something that won’t work. Not everyone is comfortable in front of the camera, and that’s perfectly fine. If you can’t find someone who feels natural on camera, there are ways around sweating and stuttering through an entire video. Also, viewers will be able to notice your discomfort and may mistake it for a lack of knowledge, which, of course, is the opposite of what you’re trying to achieve by making a video in the first place! Instead of forcing yourself to get through a script, minimize your time in front of the camera or eliminate being on-screen altogether by paring slides and images or infographics with just a voice recording. This may require some knowledge of graphics and video editing, but a little practice or the use of a financially focused marketing firm can solve that challenge. While a video may seem like a more passive approach to generate leads, don’t forget it’s still a sales tool and a CTA is necessary. Without an immediate prompt to reach out for more information, viewers may leave your site after watching the video. And since many viewers won’t watch the video through to the end, be sure to include a CTA more than once throughout the video, whether with a graphic or within the script. If you’re posting the video to a shared video site, like on a YouTube channel, be sure to include a CTA within the video comments so those viewing your video can find your website and know who you are and where to find you. Search Engine Optimization (SEO) is something that is often discussed within the realms of websites and blog posts, but don’t forget that videos are searchable online as well, and without proper SEO, your video won’t be found by nearly as many potential leads. Good SEO should be considered for the video’s title, as well as within the description and on the webpage the video appears. Ultimately, while making videos for your business can seem intimidating, you most likely already have the tools you need to make a quality video that can generate leads and promote your business.